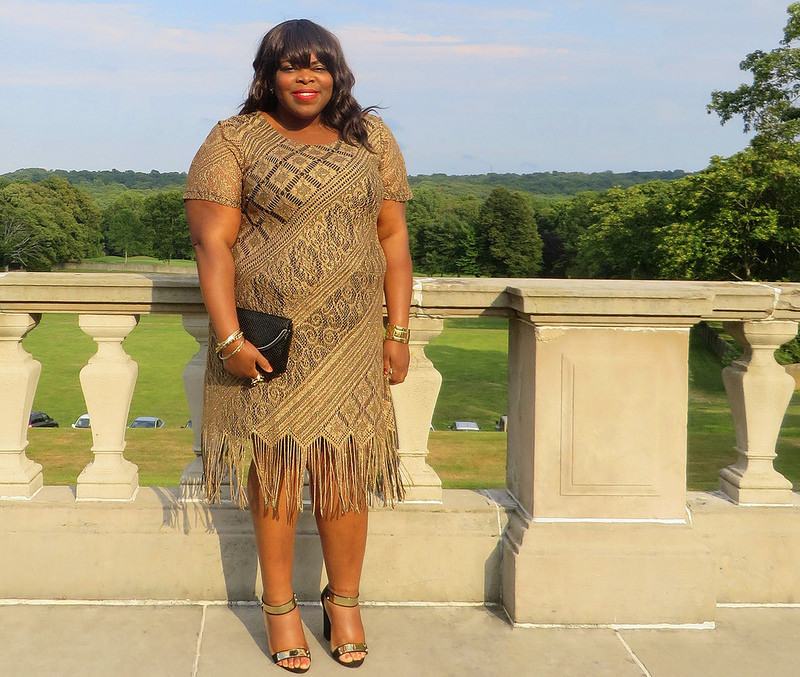 I had the pleasure of attending my fellow blogger's, Shella, wedding over the weekend. I went with Elle. 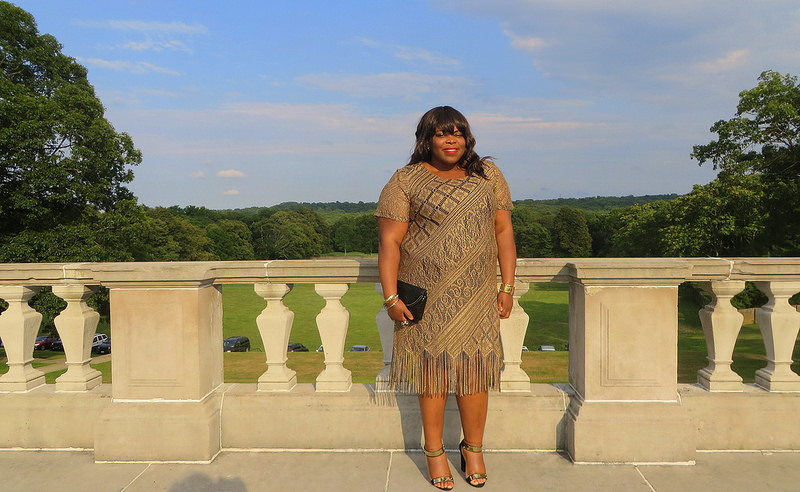 The location was at the breathtaking Oheka Castle located in Huntington, NY (Long Island area). The scenery was gorgeous, marvelous, everything and more. The wedding was beautiful, the reception was lively and very fun. Met some great folks. I had a blast. 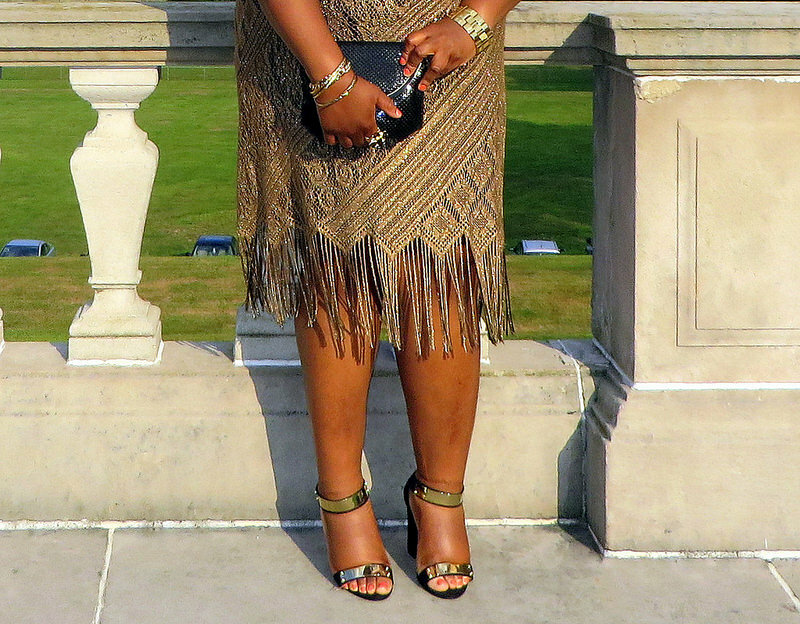 Given the location and the theme for the night, I went with my all-time favorite thrifted dress (previously worn here). Regarding accessories and footwear, I just went with black and gold. I'm hoping to put up more photos of the venue later this week. So be on the lookout!